We are Monday and lessons begin. BUT, in fact, no because I haven't got courses today. I am in the room number 016 because Tara can tell us our results of English test. But, there are 2 bad news: she forgot papers at home and English class is cancelled. So with Marlène, we decide to speak with Tara and ask her what is each courses. Then, a teacher comes to the room. He has course, but anyway, he decides to give free time to his students and speaks with us. He is very friendly and helpful. He gives us somes advices. But, something shocks us: he always says "fu*king", "oh sh*t". In France, there isn't a teacher who say it. Very strange but funny. We could have no courses, so we would like to go to a French lesson. I think it's very interesting to see how students learn French. But... teacher doesn't come and course is cancelled too. It's very weird, and we hope that tomorrow it will be different. I am in the room number 107 and I am waiting for a IT course, but... nobody comes (again). The next hour, I am sitting on my chair and I listen to my first lesson, in English. It is contemporain European sociology. I like it very much. The teacher speaks slowly and it's very clear. We learn things about Spain, so interesting! Then, Marlène and I come to mass communication, but it is horrible. We don't understand the teacher. There are lots of students and the subject is difficult. So we leave and move to another course called Management. We already learnt some notions in France but, we don't mind, teacher is nice, clear and her lesson is very great. But, there are so many differences in course, I am going to do an article about its. 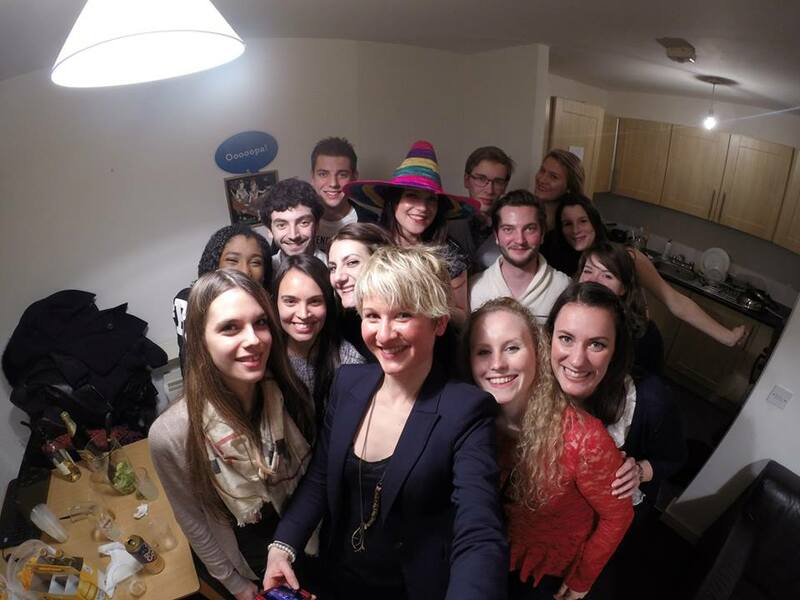 Today is Fay's birthday (an Erasmus student) so we do a party. It's time to go, see you tomorrow! The party last night was very good, but I have to go to school today. I have Spanish, Marketing and IT lessons. But Spanish is very easy. I chose a course of second year but Irish people don't speak very well Spanish, so the teacher proposed us to switch with a course of year 4. It is easy too, but we don't mind, we can continue to study Spanish because I think it's important. Marketing is great. And IT is very cool. We do a power point and we listen to music. At the end of the course, we speak a lot with the teacher. I decide to join the International society and the badminton club. Trainings are on Tuesdays (2 to 4 pm) and on Fridays (6 to 8) near the college. It's only 3 euros a year for each club (so I pay €6). I like doing sport and I think I will meet other people. And International society is a society which organise trips in Ireland. There are lots of Erasmus student. Beside, this evening, there is a party in a pub to get to know each other. So nice! Exam board reviews are taking place today. So classes are cancelled today and tomorrow. This morning I sleep and then, I go to the square where I drink a coffee and do shopping with other Erasmus student. 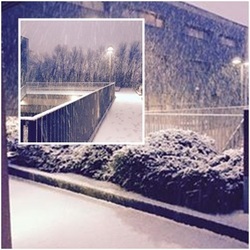 It is snowing and I am too cold. I hurry up to come back at home! 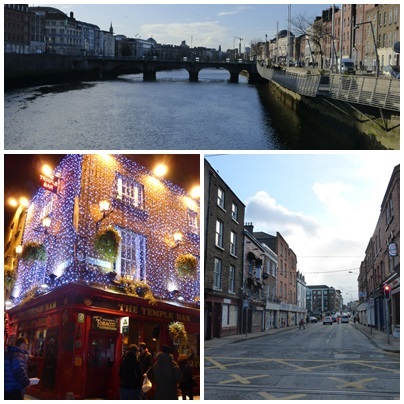 I wake up early because I want to visit Dublin! 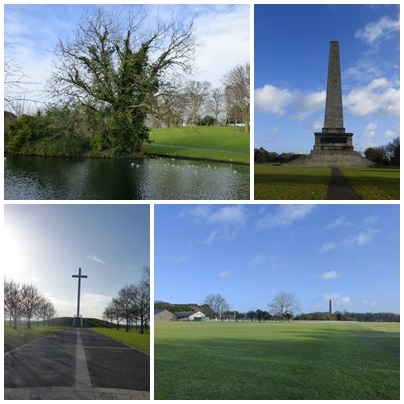 I go to Phoenix park at 707 hectares. It is one of the largest enclosed recreational spaces within any European capital city. It's larger than all of London's city parks pu together and more than twince the area of New York's Central Park. It has been managed as a National Historic Park since 1986. - Aras an Uachtarain which is the residence of the President of Ireland from 1750. Then, we walk to City center, drink a tea in a bar because we would like to eat somewhere it isn't cold. And we finish the day doing shopping. I wake upat 7am because with some of Erasmus students, we would like to discover the Wicklow moutains. 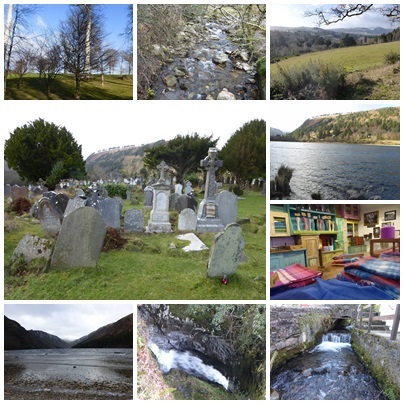 We do a daily tour where we visit Glencree valley, Guiness Lakes, Glendalough, the Vale of Avoca. It is too cold (like always) but very nice. Landscapes are beautiful and nice. I am ill. Corey is ill too, so there are lots of microbes at home. I decide to sleep and then, to meet Marlène at Square because... WE WILL GO TO OSLO and we have to organize this trip. We book flights and we will travel over there from Thursday 5th of March to Tuesday 10th of March for only €40 in return.